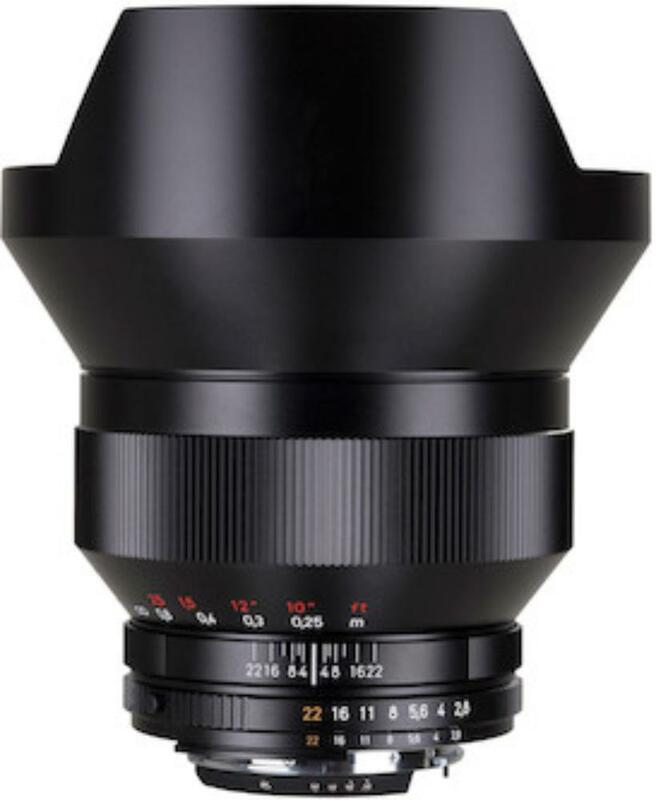 The Zeiss Distagon T* 15mm f/2.8 ZF.2 for Nikon is a superbly precise wide-angle prime lens with a special anti-reflection coating that helps produce images with increased contrast and brilliance even when taken under difficult lighting situations. It has little-to-no distortion, making it ideal for interiors, landscape photography, and other commercial/fine art applications. This is a manual focus only lens. It is compatible with both crop sensor and full frame F mount DSLR cameras.